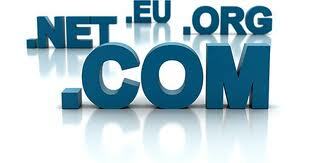 Domains International (Blog) | Domains Marketplace: Do you really know how to start a web site? Most Internet users (even many who already have their own web site), continues to ignore how a website is born. To this simple question "how to create a web site?" the natural response is to do it or providing a web designer to do so. But the majority ignores that to create a web site, you must first acquire a name for your web site which means buying a domain, register it, host it and start building the web site or ask a web desgner to run the web site you want. If for example you have a garden and are concerned with the various pests that invade your garden, you will probably find a name like "gardenpests" or similar. Domains International is a project online located at http://www.domainsinternational.net, working for several years into the domains market, buying, selling and monetizing domains, which are parked or hosted on various web sites such as Godaddy, Dynadot , Afternic, DomainApps, BuyDomains and others.